Do you love to travel, enjoy the outdoors, try to learn about local populations and try to do it all responsibly? Then you’ve probably been “eco-touring” long before the term was coined! Instead of another article about “top ecotourism destinations”, I’d like to offer you a different approach: how you can be an ecotourist in any destination! I love The International Ecotourism Society’s (TIES) official definition of ecotourism: “responsible travel to natural areas that conserves the environment, sustains the well-being of the local people, and involves interpretation and education” (TIES, 2015). As I interpret it, if you’re doing it right, this means you can eco-tour in any country! Ecotouring, ziptrek ecotours and ecotourism are big right now. The travel industry is offering more ecotourism options than ever before, but how does a traveller know what to choose? A quick search for ecotours and you’ll hit almost every country, but the most popular ecotouring destinations are in Latin America. 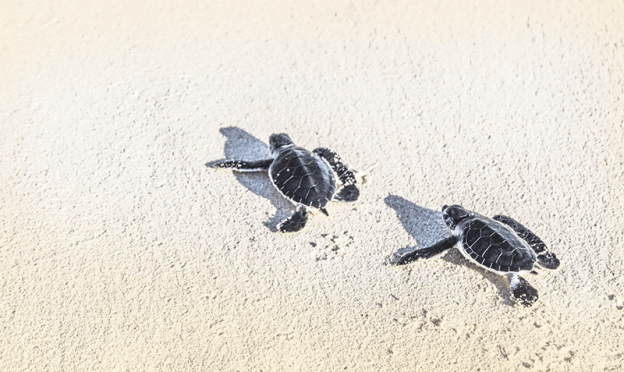 The diverse flora and fauna, conservation issues and threatened species (think learning about baby sea turtles in Nicaragua) make for unique opportunities for travellers to learn about the ecosystems and contribute to their survival. I’ve never personally taken a ziptrek ecotour, but they sure seem popular! It seems like many travellers are building entire itineraries around ziptrek ecotours, especially focusing on ecotourism in Costa Rica, great for family ecotourism, or in Brazil’s Amazon rainforest. Costa Rica is a family friendly ecotouring destination, but some travel experts also recommend ecotouring in Canada as one of the tip five destinations for ecotourism. Yes, Canada! For those new to ecotourism, it means travelling with a two-pronged approach: aim for responsible travel to discover the natural destination, AND to contribute to the conservation of the local populations, both animal and human. It’s as much a focus on local people as it is on cute and cuddly (or creepy crawly) endangered species. Ecotravel or ecotourism is aiming to travel green. It’s about nature and people. You can be an ecotourist anywhere you go, with the right approach. Embrace the ecotouring spirit: read up on the ecosystem, local species, any issues surrounding conservation, and try to seek out vetted, certifiable ecotours. Contribute to certifiable conservation: just because they say they’re “eco-friendly” doesn’t mean they are. Do a little digging and it will pay off. Before you arrive, read up and educate yourself about the local issues from multiple perspectives. When you’re there, connect with local initiatives to experience the issue first-hand. Get involved: build in time to volunteer or voluntour at your destination to give back to the community. Go green: try self-propelled travel whenever possible: walk, or bring along your bike and reap the benefits! You might consider a destination closer to home. Offset your carbon emissions, especially if you’re flying to your destination. Travelling responsibly means protecting yourself too! Remember your trip insurance for any ecotour, of course, even if you’re travelling within Canada.